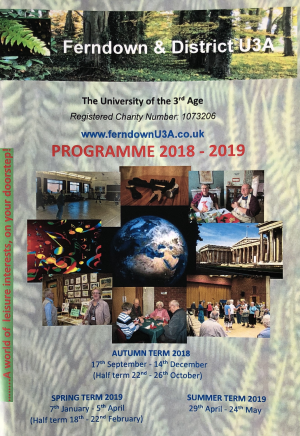 Our 2018 – 2019 Brochure shows all available Groups and their important details. There is a wide variety of choice to suit all tastes. Something should appeal to everyone. The timetable, term dates and contact information are also shown, as are instructions on how to access the Database. Please note that the Brochure is in PDF format and can be printed using your device, in the normal way.